You must remember the days when people used to keep oxford and Cambridge dictionary with them to see the meaning of different words. Or some people used to read dictionaries to improve their vocabulary. Well this is quite uninteresting to look for meaning of a single word in dictionary. Technology has changed our world. Now you have apps for everything. You can now check online meanings for different words easily in fraction of seconds. Play store has a number of dictionary applications for android. These applications have made everything much easier as you only have to enter the word with correct spellings and then search for their meanings. Million number of android dictionary apps has made people confused which app to choose and which not. Here in this article we have brought you 4 best dictionary apps for android. They can be downloaded for free from play store. Have a look on them. Dictionary.com is on the top of list. It is one of the most trusted android dictionary apps to solve your queries with a number of amazing features. Its unique features include tone search, home display widgets and auditory pronunciation. It has all treasures and dictionary content at the same time. 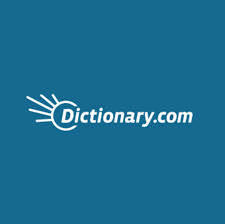 Dictionary.com is consisting of 376,000 words and meanings with 305,000 synonyms and antonyms. It will also help you in finding out the history of different words. 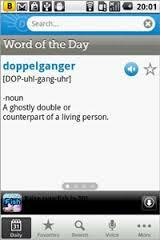 Hence in short, Dictionary.Com is one of the best dictionary app for android and can be downloaded for free. Download it now and enjoy its amazing features. This is one of the most famous android apps for dictionary. The app got fame in the first week after its launch in Europe, particularly in America. You can also search by speaking a word to it through its voice search feature. Besides this, dictionary app also provides you other useful features like illustrations of sentences, antonyms, synonyms and much more. The app helps its users to improve his/her vocabulary, terminology building, communication skills, hence providing ease for educational purposes. 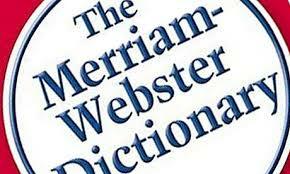 Dictionary- Merriam Webster is available on play store with its amazing features and can be downloaded for free. Download it now from the link given below and enjoy its features. 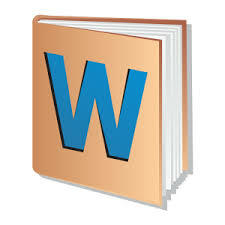 Dictionary wordWeb is another best dictionary app for android. It is global dictionary with words around 300,000. It is also offered as window software. It has unique features, it can support different languages including American, British and other Asian language. You can find out meanings of different words, their synonyms and antonyms. This app is available on play store and can be downloaded for free. Download it now and enjoy it’s amazing features. This app is on fourth number. It almost has similar features like other apps. You can look for meaning, antonyms and synonyms of different words. Its has more features like self suggestions, quiz games and history research. Download free dictionary organization now for free and it enjoys its features. Which dictionary for android do you prefer? Let us know in the comments below.